My absolute favorite salad dressing is Bleu Cheese. My husband is not a bleu cheese lover. He thinks it smells like “feet.” I still like to indulge in my bleu cheese fascination on my own, mostly tossing some gorgonzola crumbles onto my salads. My husband prefers Caesar dressing and Parmesan as an addition to his salads. So to make both of us happy, I made some scrumptious and hearty His and Hers Steak Salads — each with a different salad dressing! 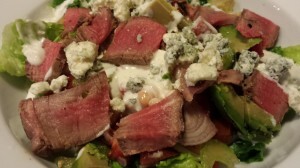 It was a sunny and hot summer day when I decided to make my wonderful His and Hers Steak Salads. Outside, I was able to grill a nice filet mignon steak and keep my indoor kitchen cool. On a bed of chilled romaine lettuce, I added the sliced grilled filet mignon along with some Kumato tomatoes, shallots, celery, and cannellini beans. “His” salad is draped with a Caesar dressing and a sprinkling of shredded Parmesan cheese. 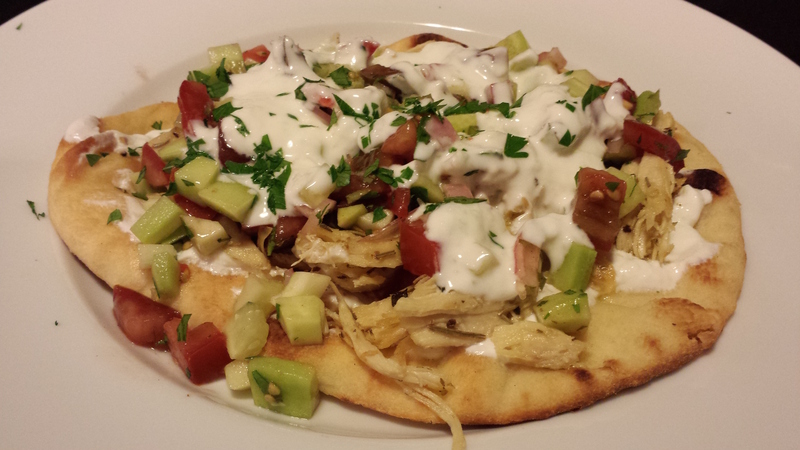 “Hers” has bleu cheese dressing and is crowned with a handful of gorgonzola crumbles. You can use leftover steak from another meal if you wish. Romaine lettuce is a sturdier lettuce that stands up to heavier Caesar and bleu cheese dressings. 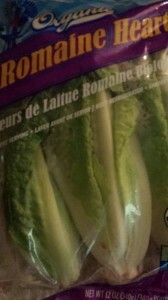 Your grocer may carry locally grown Romaine lettuce heads, or you can use packaged Romaine. I prefer to purchase organic lettuces. I like to use the “brown” Kumato tomatoes if I can’t find good organic locally grown tomatoes. 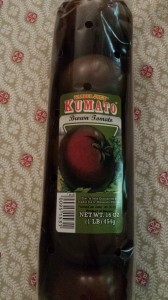 The Kumatos are available at most grocers and even come in a “cherry Kumato” size. 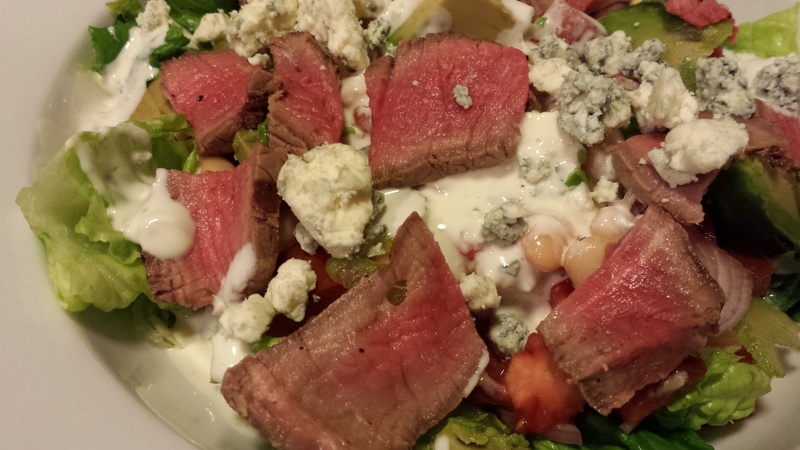 Assemble your salad with your favorite “steak salad” ingredients. And can you believe that I forgot to add the croutons? 1. 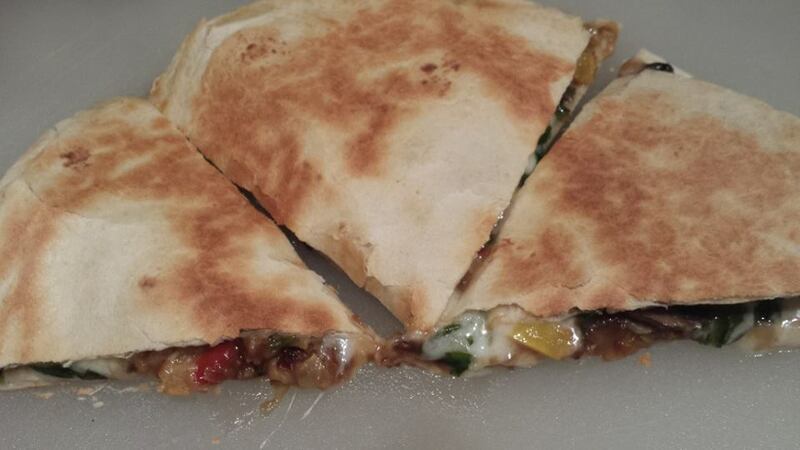 Grill the steak and slice thinly, then cut into one inch pieces. 2. Stir together the cannellini beans, tomato, shallot, and celery. 3. Chop the lettuce into bite-sized pieces and divide between two serving dishes. 4. Drizzle some of the Caesar dressing on one salad, and drizzle some of the bleu cheese dressing on the other salad. 5. 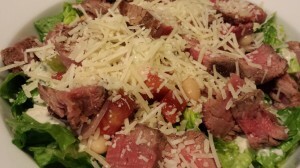 Top the both salads with the cannellini bean mixture and the steak pieces, divided equally. 6. 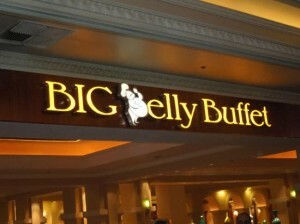 Top “His” Caesar salad with the shredded Parmesan, and top “Hers” bleu cheese salad with the gorgonzola. Serves 2 as a main course salad. Offer with crusty warm bread or garlic toast. Variations: Add other vegetables such as sliced fresh mushrooms, diced bell pepper, sliced carrot, cubed or sliced cucumber, halved black or Kalamata olives, etc. Top with croutons for extra crunch. 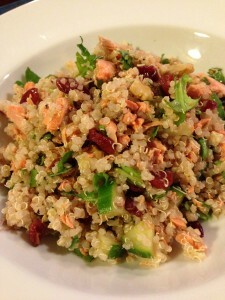 Try my Tarragon Balsamic Dressing instead of the bleu cheese or Caesar dressings. For a vegetarian version, omit the steak. You can certainly use your favorite dressing. Cooking is all about what suits your tastes! 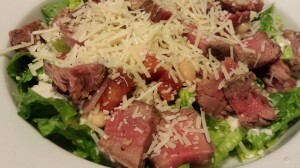 Substitute chicken for the steak, but then it’s not really a steak salad!